San Francisco band The Morning Benders have been getting a ton of buzz lately thanks in large part due to their song "Excuses." A video for the song shot by the website Yours Truly and was posted on just about every music blog you could think of (including this one). The song "Excuses" will be released shortly on the bands forthcoming album Big Echo . In addition to the new album, due out March 9th on Rough Trade, the band will head out on tour starting March 23rd in support of the new LP. That tour will bring the band to Phoenix on March 23rd for a stop at the Rhythm Room. 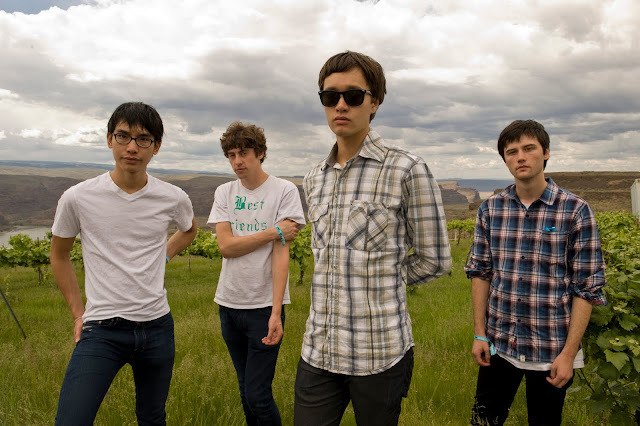 In addition to the The Morning Benders former Phoenix now Brooklyn favorites The Miniature Tigers will be opening the show. Tickets for the show are only $10 and can be purchased here. I'd get 'em quick because this one is sure to sell out fast.